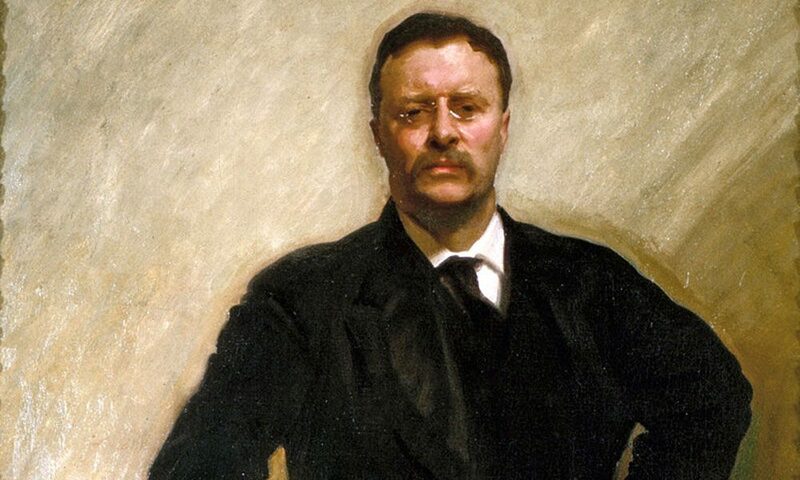 Theodore Roosevelt's portrait by John Singer Sargent from 1903. Another week has gone by, which means there’s another special event to celebrate, and this weekend it’s Father’s Day. So get your grills ready and brush up on your barbecuing skills. Of course, a cold beer and some burgers are great, but if there’s one thing that all dads love more than artery-clogging food, it’s history. For your amateur history buff, Grant’s Cottage in Wilton is presenting a special historical talk on Saturday, June 16, called Theodore Roosevelt’s Night Ride to the Presidency. This hour-long event will tell a fascinating history that most Saratogian dads aren’t aware of it: Back in 1901, then Vice President Theodore Roosevelt was doing some hiking in the Adirondacks, when he got the news that President William McKinley’s health had taken a sudden turn for the worse (McKinley had been shot two weeks prior by an anarchist in Buffalo). Roosevelt immediately left Mt. Marcy, which he had summited just the day before, to be by the President’s side. Michael Cronin, the proprietor of a hunting lodge along Roosevelt’s path, helped transport the the soon-to-be President to the North Creek Train Station where Teddy learned that McKinley had already passed away. Jonathan Duda, the great-great grandson of Michael Cronin, will retell this fascinating true story—with all the nuances to the story included—at Grant’s Cottage in Wilton this Saturday, while referencing his great aunt Eloise Cronin Murphy’s book, Theodore Roosevelt’s Night Ride to the Presidency. And if your dear, old dad still needs a beer and some char-grilled meat afterwards, take him out to these other Father’s Day events in town. Beatles’ White Album: Back in the C.A.F.F.E. – Let your dad relive his glory days with this Beatles tribute show – Caffè Lena, Saratoga. Historical Guided Walking Tours of Saratoga – Relive 200 years of history in just 90 minutes – Heritage Area Visitor Center, Saratoga. 26th Annual Whipple City Festival – this free, two-day event celebrates the history and heritage Whipple City – Village and Parks of Greenwich. Movie Night: I Can Only Imagine – a special Father’s Day weekend movie night with free admission – Grace Chapel, 996 Main Street, Clifton Park. Troy River Fest – What dad doesn’t like live music and local cuisine while strolling along the Hudson? – River Street, Downtown Troy. 13th Annual Strawberry Fest & Art Show– Since we’re on the subject, what dad doesn’t love fresh Strawberry shortcake as well? – 1598 Union Street, Schenectady. Happy Father’s Day at Mountain Ridge Adventure – Dads get in for free – 300 Weatherwax Road, Schenectady. Open Fire Pit Grilling with Chef David Burke – The Adelphi Hotel, Saratoga. Free Admission at Grant’s Cottage – Dad’s get in for free from 10am to 4pm – 1000 Mt. McGregor Road, Wilton. Fathers’ Day 3-Course Dinner at The Wishing Well Restaurant – 745 Saratoga Road, Gansevoort.